PRICE JUST REDUCED! 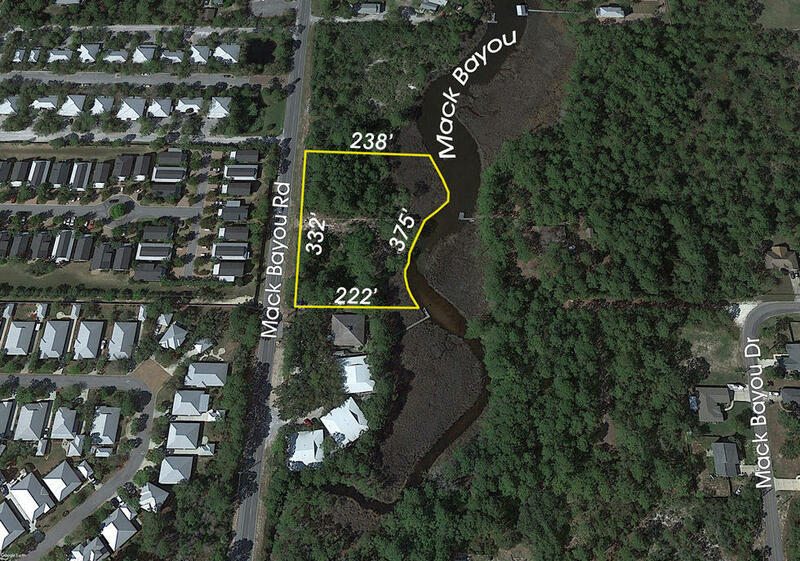 This waterfront listing contains two contiguous parcels, measuring approximately 1.7 Acres, located on Mack Bayou of Santa Rosa Beach, Florida. The manufactured home is approximately 2,500 SF and has four bedrooms and three bathrooms. The property is zoned Neighborhood Infill and is conveniently located near Grand Boulevard of Sandestin, Sacred Heart Hospital, and South Walton County shopping, dining, and entertainment. Please inquire for further details. Buyer must verify all information and specifications.